Fresh ocean scent odor eliminator. Environmentally friendly essential oils create a protective scent barrier on the surface of water to trap odor underneath. Pretreat toilet bowl with 2-3 spritzes directly into toilet water before use and keep bathroom smelling fresh. 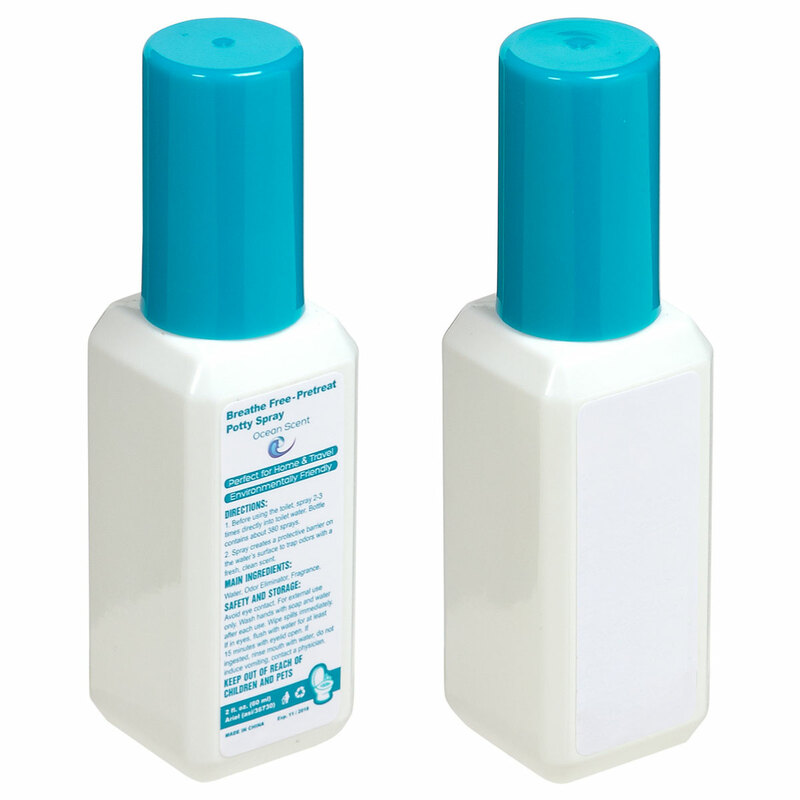 2fl oz bottle for 380 uses. Perfect for office, travel, home and more. Imprint Area: 0.87" x 2.25"